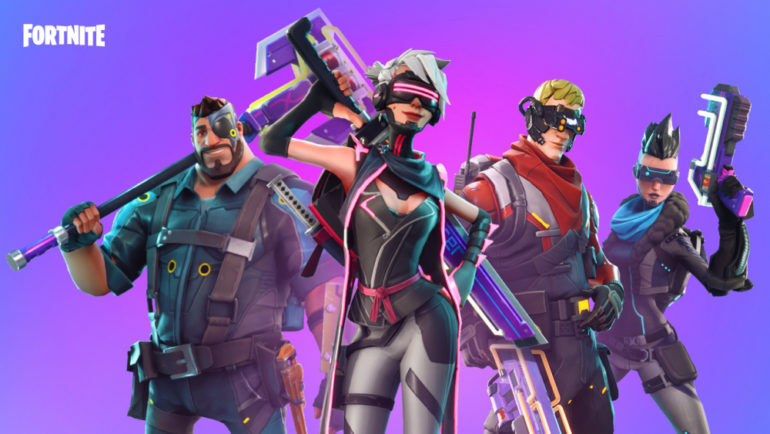 Fortnite: Battle Royale data miners may be unable to get video footage of upcoming game events, but they’ve found several audio files of what seems to be three different season-ending events for season eight. Data miners found three new subfolders under Fortnite’s main event folder: Leaky, Sleepy, and Snow. These names tell us very little, but the audio that was in the folders and revealed by HYPEX might give us hints at what’s coming to the game soon. The first sound set, Leaky, has several effects that sound similar to those of the giant purple cube of season six, Kevin. They sound like impact effects, as if a player was hitting an object that was making that sound, but they could also be an object or structure being powered on suddenly. The sounds near the end of the file definitely seem to be of a structure turned on and emanating some kind of energy. The second set, Sleepy, is also tied to Leaky, according to HYPEX. The first part of the audio sounds exactly like Leaky, as if an object were hitting another. The second part resembles the sound of a player’s pickaxe hitting an object, while the third part sounds like something made of metal opening, like the hatch in the center of Loot Lake. Snow, the third set, also begins with the sound of an object opening. The middle of the audio pack is hard to distinguish from the previous files, but it gets interesting when a sound similar to something being warped plays around the 1:17 mark. The last part sounds like the roar of thunder mixed with the sounds the cube used to make in season six, so they might be related as well. These sound files are far from being enough for us to draw conclusions about what they mean, what is making these sounds, and when players will hear them. What all of them are most likely related to is the high-tech facility in the center of Loot Lake, but anything we say for now is just a guess. Fortnite players will surely hear these sounds soon in the game as the season eight end approaches.